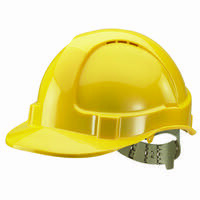 This yellow ABS shell helmet is certified to EN397, which means it meets stringent requirements for shock absorption in a 5kg drop test and will resist penetration by a 3kg spike. It also features an internal six-point webbing harness to keep the helmet securely on your head if knocked. 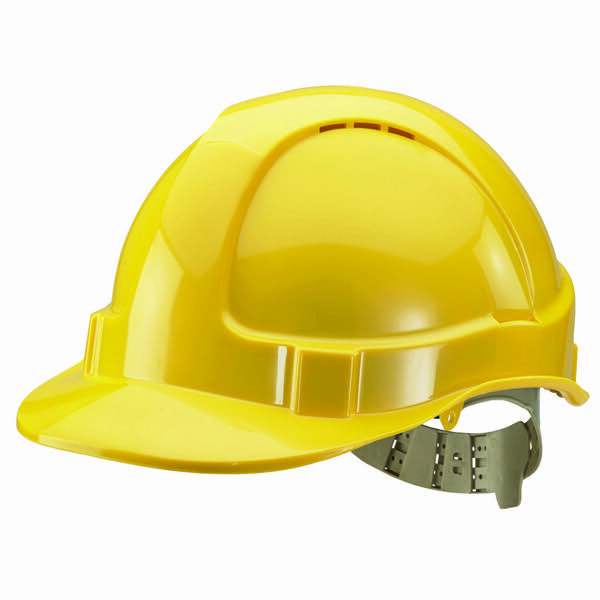 Designed for comfort as well as safety, this helmet features a slip-ratchet headband for easy adjustment to accommodate different head sizes. The helmet also incorporates a sweatband and accessory slots .